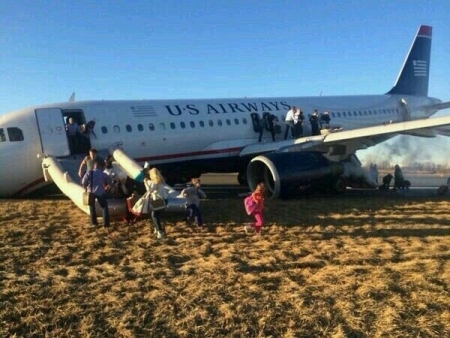 US Airways Flight 1702 heading towards Fort Lauderdale from Philadelphia International Airport barely got off the ground before the captain aborted. During takeoff going down the runway, the plane just lift off the ground and slammed back down. A tire burst in the front landing gear, and the plane came to rest on it's nose. All 149 passengers and 5 crew were evacuated safely. This happened at 6:30 pm. The plane is an Airbus A320. Emergency crews are on scene. iradiophilly launches a special Saint Patrick's Day Music Radio Station; Listen to the perfect Saint Patrick's Day playlist in Philly!